No parents wants to see their gassy baby struggle with pain. If you’ve ever had gas as an adult, you know how painful it can be. A colicky baby cannot say what pains him or her, however, by watching for signs of colic or gas, you can try to figure out what is bothering your child, and try to help. Gas and colic are often interchangeable in mothers’ conversations about their newborns’ issues, and many don’t know what to do to help their little ones. So what is colic, and what is the best form of colic relief? Find out below. There are so many products for colic out there, and mothers often complain about their colicky babies. However, did you know there is an actual definition for colic? If your baby cries for over three straight hours three or more times a week, that is colic. If your baby cries for 30 minutes, that is not official colic. However, this is just a made-up definition, since no one really knows what causes colic. Many experts, however, agree that colic is caused by babies’ immature digestive systems. Whether your gassy baby is breastfed or formula fed, their little stomachs are just not equipped enough to handle processing food, which causes issues, such as gas pain. The pain causes infants to be upset, thus creating a colicky baby. If you look out for signs of colic, however, which are gas (farting, trying to, but not able to burp) and crying, there are a few safe and natural solutions for colic relief. 1. There is a great book by Harvey Karp, called Happiest Baby on the Block. I can’t imagine surviving the first year in a baby’s life without reading this book. Karp advises on a few tips to calm a fussy and colicky baby. Many experts believe that a colicky baby is simply an overwhelmed baby. I think there is truth in that. My first child was incredibly fussy every night between 5 and 8pm. With so many sights and sounds to experience throughout the day, a baby’s nervous system can just go into overdrive in the evening, causing him or her to be fussy. Karp recommends the following to sooth a colicky baby: swaddling, rocking, giving a pacifier, putting them in a swing and using white noise. You have to remember than when a baby is inside the womb, he or she is constantly rocked by your motion, is in tight quarters, and the outside world sounds like white noise from inside. Doing all these things will likely remind the baby of life inside of you, which will comfort him or her. Both my boys loved to be inside the bathroom with the lights turned low and the fan on. The crying fits would stop for a few minutes while I would rocked them in there. 2. Gripe Water – Gripe water is one of the best inventions for colic relief. All it is is water with herbs, like ginger and fennel, to help a baby with gas. My first was such a gassy baby that I had to give gripe water after every feeding. 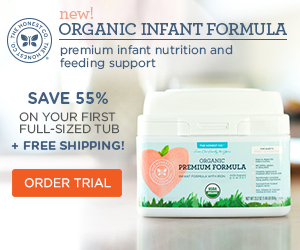 You can put it directly into the formula, or feed it to the baby from a dropper. I remember numerous days where he would scream until I gave a dropper-full of gripe water, and he would burp within two minutes and go back to being a happy little guy. Gripe water is also great for hiccups. While hiccups don’t bother most babies, my second son was very miserable when he’d had bouts of hiccups, so gripe water always came to the rescue. 3. Colic Calm – If gripe water was a Ford, Colic Calm would be a BMW, it’s much more expensive cousin. Retailing for around $20, this is what I truly call miracle colic relief. It’s homeopathic and not only helps with gas, but also with crankiness. When my son would be screaming bloody murder and no amount of rocking and singing would help, I would give one dose of Colic Calm and he would be out cold within a few minutes; this thing is like a tranquilizer. I tried to use it sparingly because it is pricey, but the worst part about it is that because of it’s main ingredient, charcoal, it is black. Can you guess what black liquid does to baby clothes? It makes them stained and impossible to wash out. I got into the habit of giving him Colic Calm and standing over him with a wipe for anything that dripped. But what are a few thrown out onesies compared to the peace and quiet I would get after just a dose of this magic liquid? Dealing with a colicky baby is no picnic. I remember trips to the doctor’s office and nights of research online, to no avail. The term colic is used so commonly that there is no official definition. As long as you swaddle your baby, use white noise, rock, and give them one of the two natural solutions for colic relief, you and your baby will survive this tough period. This entry was posted in Homeopathy, Natural Remedies by karma606. Bookmark the permalink.